It’s pretty amazing how much the price of gas can fluctuate within a city. 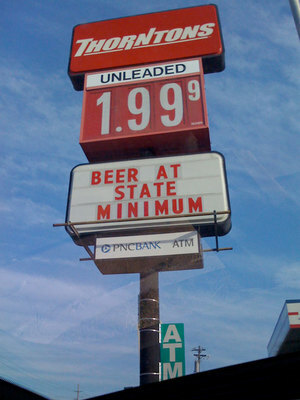 Out here in West Chester, where I work, the price of gas yesterday was $1.99. 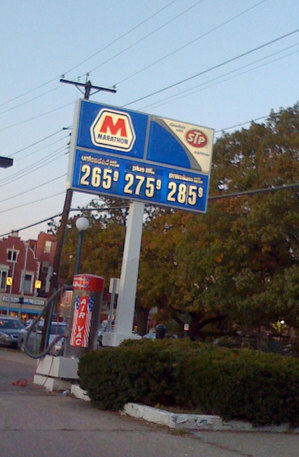 In Clifton, near the Gaslight District, the Marathon had gas for $2.65! I understand that sometimes you pay for convenience, but that spread is pretty large. I did tank up yesterday. It was hard to resist when gas breaks below $2, so I ended up getting 5 gallons for my car. But, yes prices dropped again today so I once again had to fight the urge to put more gas into my car.